Together, we’ve conquered mountains, taken way too many sweaty selfies, we’ve talked marriage, parenting, school choices and every time I come back home from one of our adventures, I can’t get over how thankful I am to be part of this group. 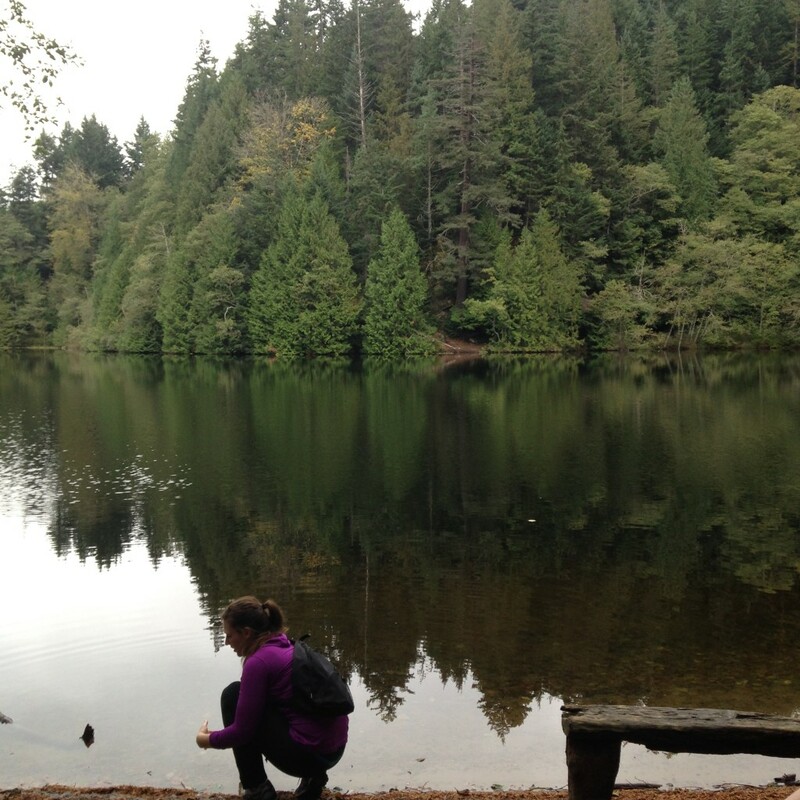 So today, I’m sharing 10 Pacific Northwest hikes you need to go on with your girlfriends. For difficulty, directions and other info, click on the link for each hike. 1. Oyster Dome (Puget Sound and Islands — Bellingham Area 6.5 miles roundtrip /1900ft elevation gain)– The trailhead is located along Chuckanut Drive and the trail immediately starts climbing steeply. A kiosk states that you are following the Pacific Northwest Trail, which will connect Glacier National Park to the Olympic coast when complete. You will also pass an intriguing piece of trailside sculpture, “Rock Talk,” as you ascend the initial segment. Make sure to bring a picnic for when you reach the top! 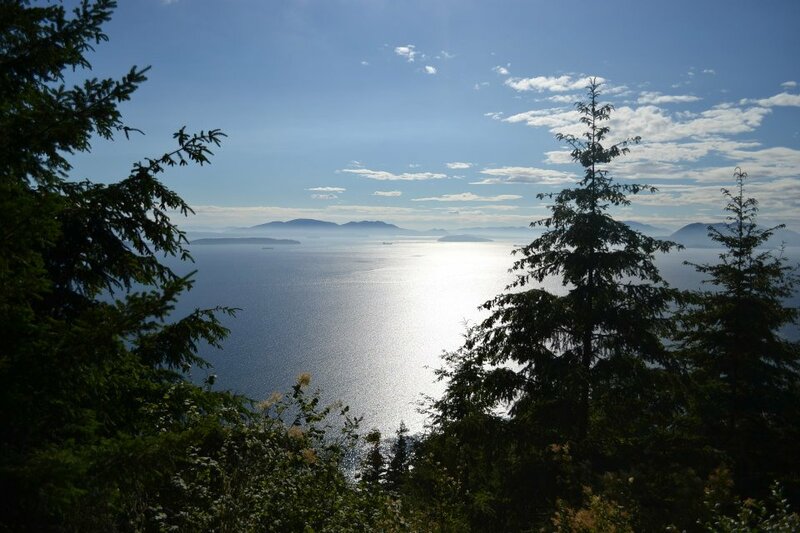 The view you’ll enjoy of Puget Sound and the San Juan Islands is breathtaking! 2. 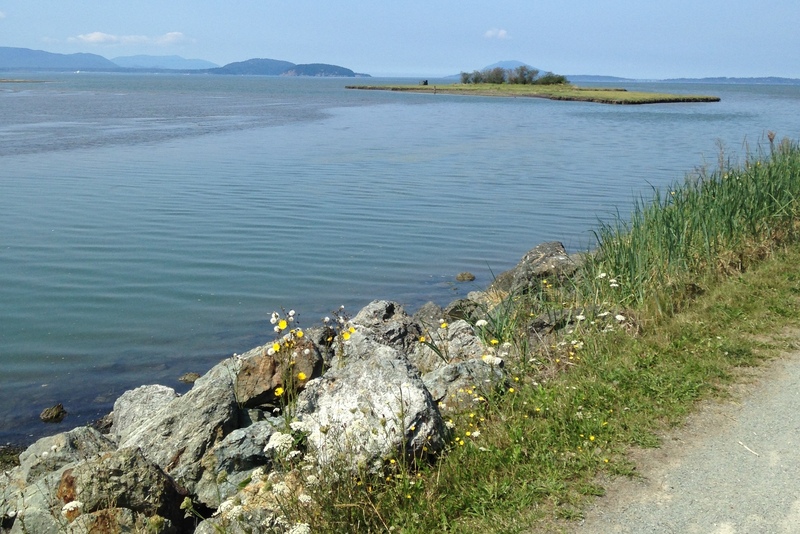 Padilla Bay Trail (Puget Sound and Islands — Bellingham Area 4.4 miles /30ft elevation gain)- Hike along a snaking dike, built by tenacious twentieth-century settlers and farmers through the Padilla Bay National Estuarine Research Reserve. Established in 1980 to protect extensive mudflats of eel grass, the 11,000-acre preserve is a bird watcher’s paradise. 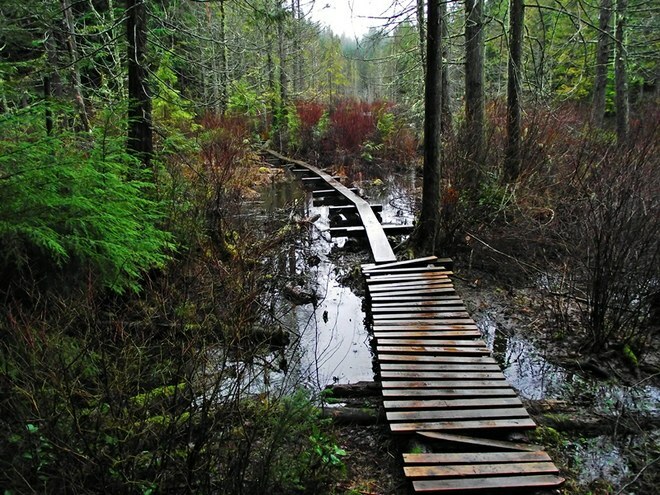 The trail twists and turns along sloughs, tidal flats, and salt marshes, allowing you to scope out herons, eagles, falcons, dunlins, brants, and scores of other winged residents. And in addition to the profuse birdlife, you’ll be treated to unhindered views of surrounding mountains, islands, and farmland from this delightful and level path. 3. 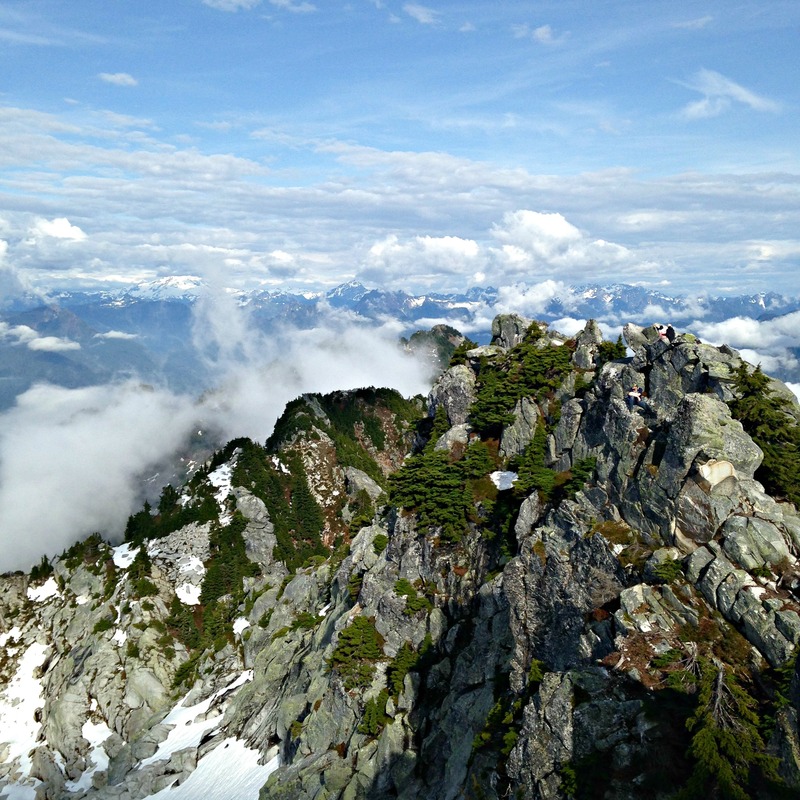 Skyline Divide (North Cascades — Mount Baker Area 9 miles roundtrip /2,500ft elevation gain)– There are no words to describe the beauty of this hike. When you reach the top, you’ll want to spin around, as if you’re Julie Andrews in the Sound of Music. After you soak in the views, pull yourself away, if you can. Grab a bottle of wine and your best girlfriends and get this one on your calendar! 4. Fragrance Lake (Puget Sound and Islands — Bellingham Area 5.5 miles roundtrip/ 950ft elevation gain)-Fragrance Lake is part of Larrabee State Park, which became Washington’s first state park after a 20-acre parcel of land was donated by the Larrabee family in 1915. Whoever was responsible for the name must have been inspired by the tall trees that completely surround the lake, and the rich scents of bark, pine and soil they provide as the breeze wafts by. Shed your pack and have a snack! There’s a 0.6-mile loop trail along the shore that provides additional viewpoints and privacy. Rockhounds will love exploring the huge boulders on the west side of the lake. If the weather is good and the body is willing, wade in and cool your feet. Or swim out and join the trout for more frigid exercise. 5. 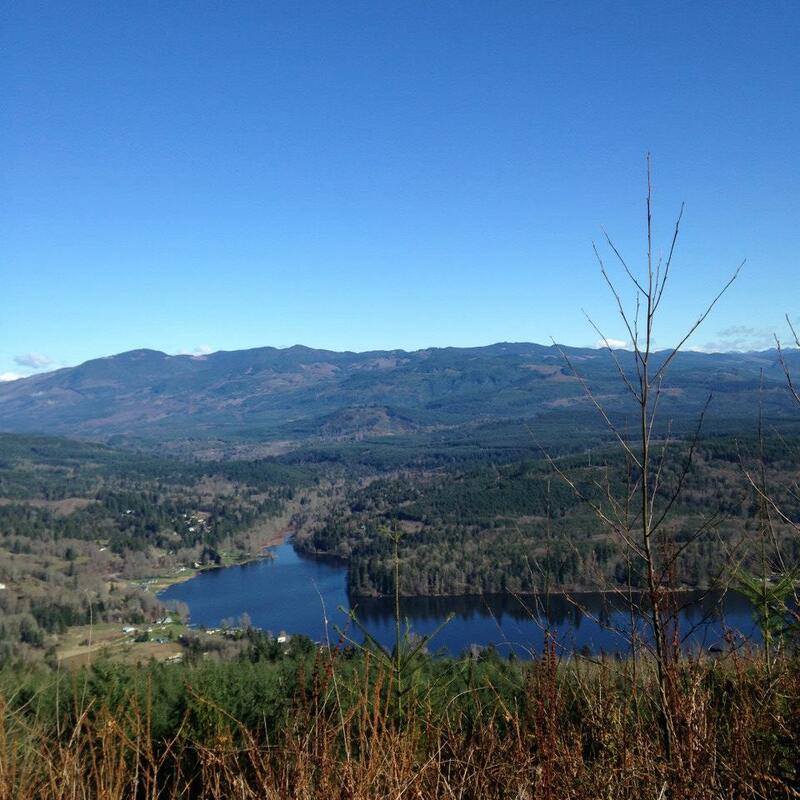 Whistle Lake (Puget Sound and Islands — Bellingham Area 3.7 miles roundtrip /200ft elevation gain)– In the heart of Fidalgo Island lies a natural gem of a forest with wetlands, lakes, and rocky bald meadows with great views. 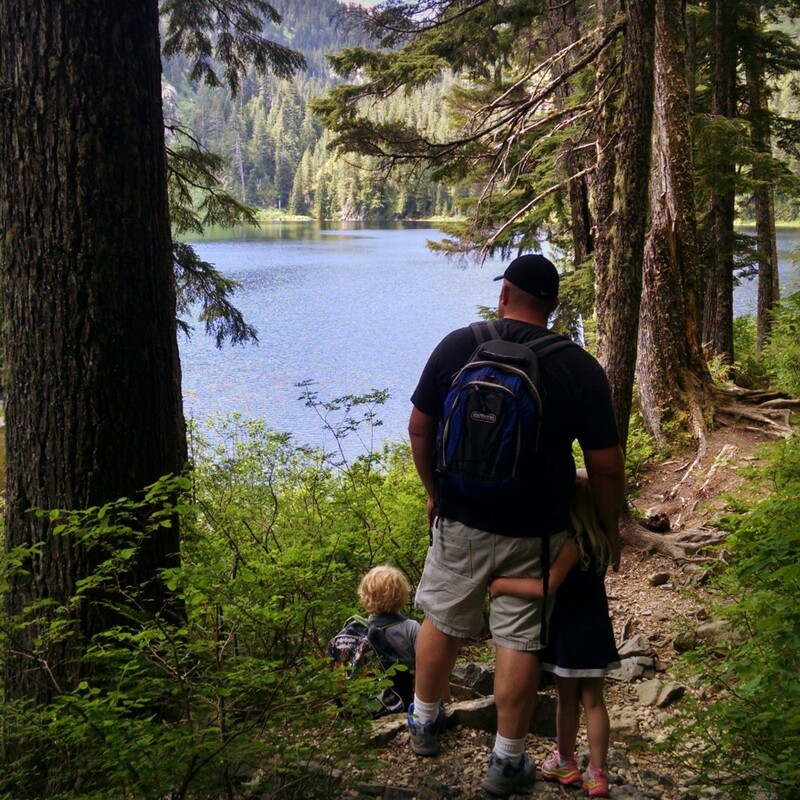 This nice little hike will take you around the lake on a hiker only trail. Take this hike in spring for the fresh new leaves and the dainty spring flowers, or hike on a rainy day in winter and watch the mist float above the lake among the trees. The lake is very popular on hot summer days. 6. 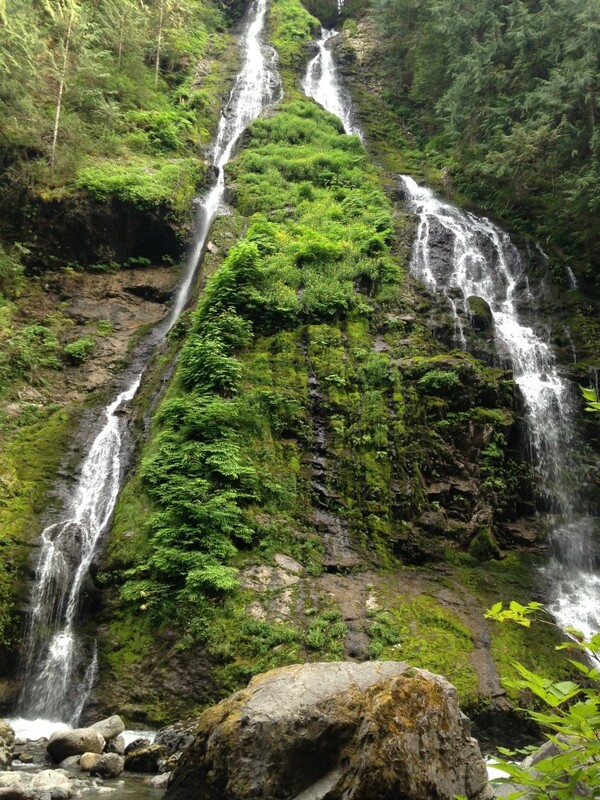 Boulder River Falls (North Cascades — Mountain Loop Highway 8.6 miles roundtrip/ 700ft elevation gain)–After just a short distance you’ll behold a beautiful double unnamed waterfall! Admire the dripping moss and bright yellow monkey flower between the two braids of water. Keep going and soon come to a short switchback. As you make your first switch, there on the left hand side is a huge old-growth tree made for hugging. This is a great hike for beginners! 7. Pilchuck Tree Farm (Puget Sound and Islands — Bellingham Area 4.75 miles roundtrip/ 800ft elevation gain)–This easy-to-moderate hike brings you through lush meadows, planted forest trees, and a stump-filled clearing to the monument dedicated to Robert Henry Hauberg, the founder of the Pilchuck Tree Farm. The monument meadow has great views of the valley below plus the Sound and the islands. 8. Heather Lake (North Cascades — Mountain Loop Highway 4.6 miles roundtrip/ 1034 elevation gain)- After you’ve explored a few easy, flat trails, the Heather Lake trail makes a wonderful next step. With just a bit more elevation gain, and slightly more rugged terrain. The trail is short, but just steep and challenging enough to give you a sense of accomplishment once you reach the lake. 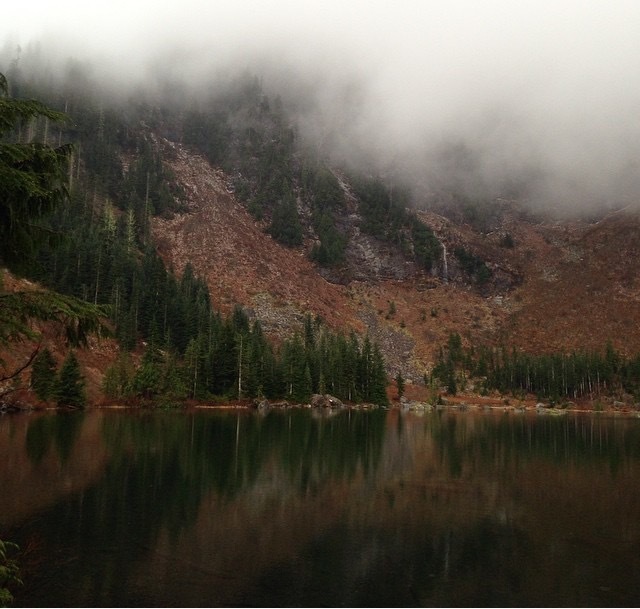 The lake itself is a scenic little lake located on the northeastern slope of Mount Pilchuck. 9. Pine and Cedar Lakes (Puget Sound and Islands — Bellingham Area 5 miles roundtrip/ 1400ft elevation gain)- With two small lakes and numerous branching trails that sport views to Mount Baker and the Puget Sound, this moderate trail through shady forest can be hiked or backpacked year round. Trails circle both of these lakes, and on nice days you’ll find people out fishing or canoeing here. 10. Mt. Pilchuck (North Cascades — Mountain Loop Highway 5.4 miles roundtrip/ 2300ft elevation gain)-Despite its intermediate difficulty, Mount Pilchuck sees a slew of visitors in a given year, as hikers flock to the trail for its grand panoramic views and historic restored fire lookout. Easily one of the most rewarding hikes in the area! You’ll love 360-degree views of Mount Baker, Mount Rainier and the Olympics from its shelter lookout, which sits nestled on a summit that tops out around 5,300 feet. You’ll be sore the next day, but you’ll never forget this amazing view. 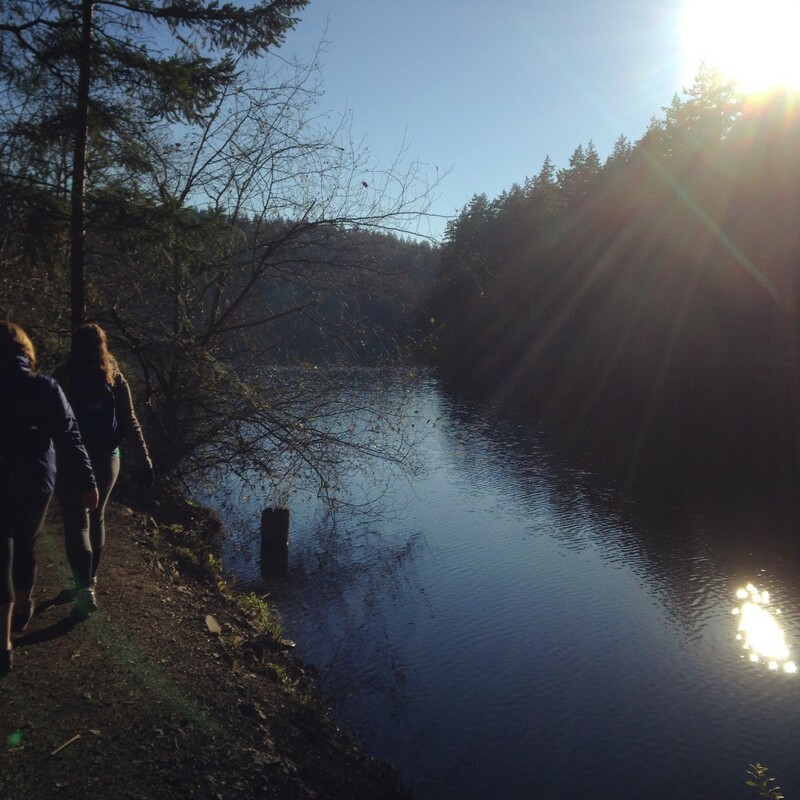 For this hike, you’ll need your girlfriends who love a good challenge. Cheer each other on as you make it to the top! 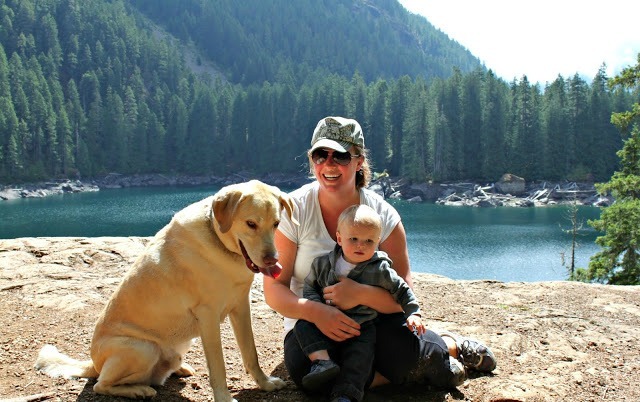 Hitting the Trail with a Baby Are there any other Pacific Northwest hikes you’d recommend? If so, I’d love some ideas! I love the idea of hiking with girlfriends! Great recommendations. Hiking with girlfriends is the BEST. I didn’t realize how much I needed those times until I started having them. So thankful you’re part of this NW Healthy Mama community! 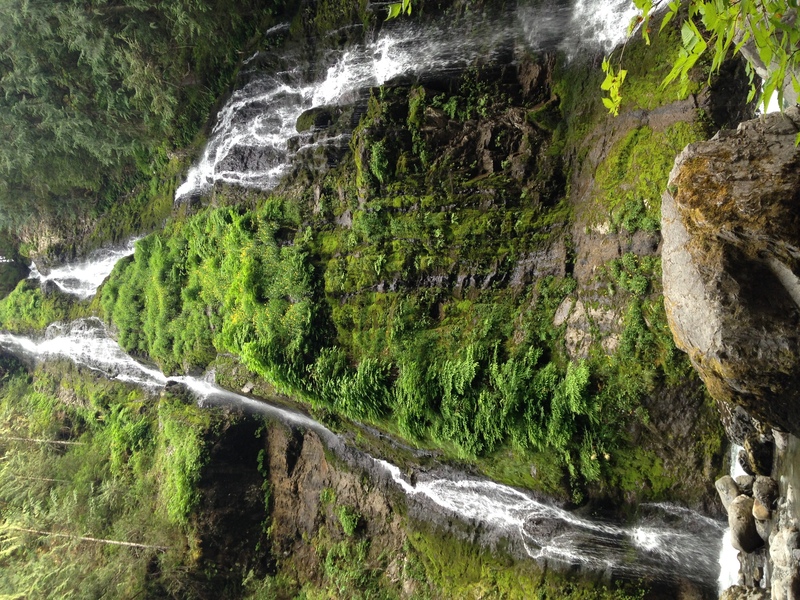 Some other great ones are Lake Serene/ Bridal Veil Falls, Wallace Falls, Lake 22, and Barclay lake! Yes! Great ideas! I’ve been wanting to do Lake Serene/Bridal Veil Falls! #6 is actually Feature Show Falls, according to the Northwest Waterfall Survey. Boulder Falls is about 600 yards downstream from this spot. I love your hiking site! I’ve talked with my girlfriends about doing something similar here in North Idaho. Now I just need to DO it! Thanks for the inspiration and one suggestion…being from Isaho, I’m not so sure of where these places are. Would you be able to give the closest town or roads to help me locate these? Thanks!!! Hi Jennifer! You should start something like this in Idaho! If you click on the name of each hike, it’ll redirect you to the Washington Trail Association website with complete info and directions. Hope this helps! I’d love to hear more about your hiking group, once you start it! Wishing you all the best! 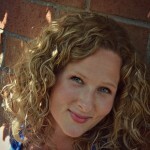 Jennifer, Look for the book 100 Hikes in the Inland Northwest – Rich Landers is one of the authors. 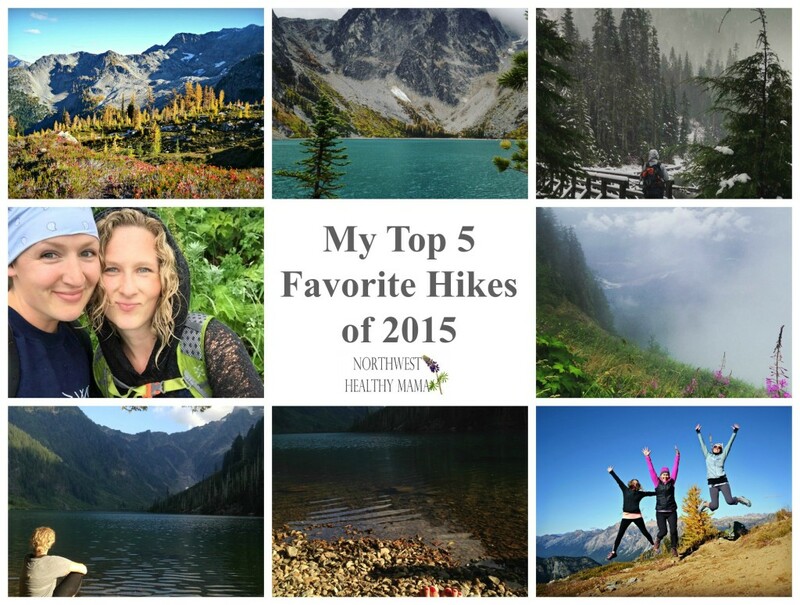 We have hiked many of them in North Idaho and Eastern Washington. The directions are great, although I was a little skeptical when we first started using the book, but they have been spot on. It gives distances, approximate duration, altitude, and time of the year. Great way to get to know some of the area. Careful, i went hiked to Fragrance lake with a girlfriend and got bit by leeches while swimming. Can I find all of these hikes just from the name you have given them? They all look beautiful! It would also be helpful to see them on a map! Thanks for posting! Yes! 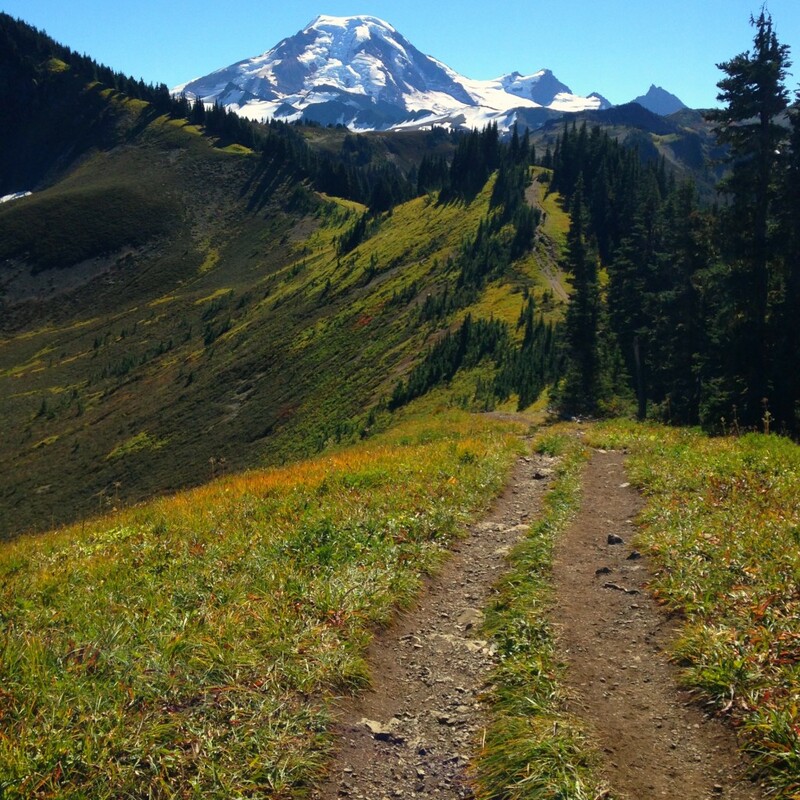 Just click on the name of the hike and it’ll direct you to the Washington Trail Association website with directions and more detailed info! Hope you have fun! How do I start a group like this in Eugene OR. I’m 55 and love to hike. It sounds like there’s another gal who might want to help you. She left her email address below! Let me know how this goes for you. I’d love to hear a success story! Best of luck to you! I’m 56 and in Silverton about halfway between PDX and EUG! I have some women friends that regularly hike but they are a bit advanced for me. They did a rim to rim backpack at the Grand Canyon last summer. I’d love to join a beginner group for day hikes. I’m going to have to get a copy of The Creaky Knees Guide. Bowl&pitcher in Spokane my girlfriend and I walked that trail with her two dogs it helped during a very stressful time we were having earlier during the day. That sounds great! Thank you for sharing a Spokane idea! We need more of those! These all sound beautiful, thank you for sharing! I love love love the idea of girlfriend hiking, what a fun way to feel refreshed and get some lady time! 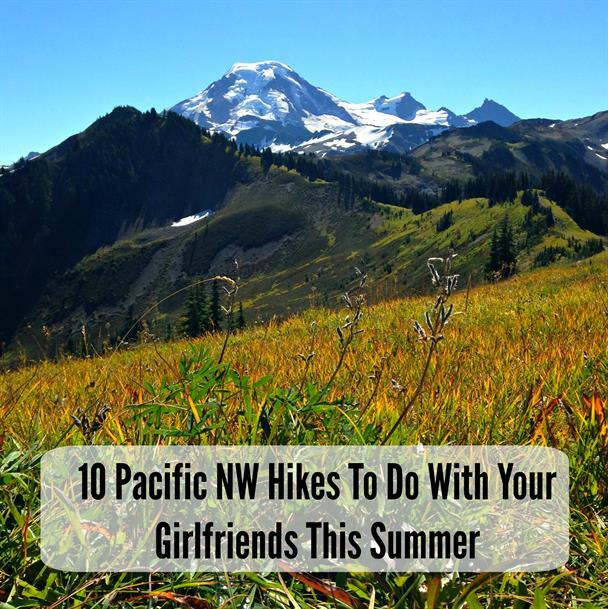 This should actually read “10 WASHINGTON hikes to do with your girlfriends this summer.” There wasn’t a single hike in this article that referenced Oregon or even Canada. They all sound marvelous, but if you are going to make a statement about the Pacific Northwest, then please pick hikes from all over this wonderful part of our country. I love getting out and I think this idea is fabulous, but coming from Portland, it would take a good chunk of the day in just travel time. We have some really beautiful hikes near us that could be featured. Just a thought. But thank you for writing this and letting people know of some great spots to enjoy the beauty of where we live! I agree- I probably should’ve named it differently. What hikes have you done in your area that you’d suggest? I’d love to add some for our Oregon gals!